Blairdaff Church was originally built in 1850 as the Free Church and became the Parish Church in 1934. 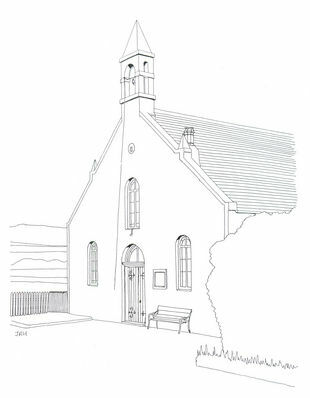 Blairdaff and Chapel of Garioch Parish Church were united in 2007 creating one congregation with two centres of worship. The current Blairdaff Parish Church was built as Sclattie Parish Church; the former Blairdaff Parish Church exists as a ruin within the Blairdaff graveyard. Built in the local granite, it is a typical Church of Scotland building without a spire or tower. Inside is a U-plan gallery and the original pulpit with sounding board.